While studying abroad can be exciting, it does require careful planning. 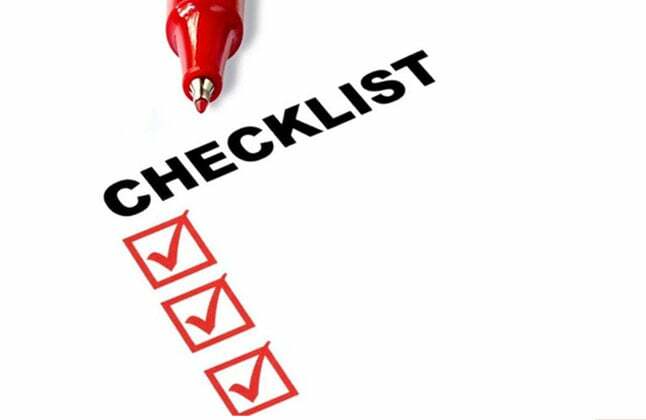 Once you have been accepted to a University, it is very important that you maintain a checklist to prepare for your travel. This checklist will make your transition into your host country easier. The following list will help you prepare for your time abroad. When preparing for your semester abroad be sure to research the visa requirements, culture and laws of your host country. Additionally, contact numbers and email addresses of your University advisors will also be useful as they will be able to provide you with assistance during your time abroad. Planning your travel early on can help you with best airline deals as student travelers are often offered low priced air fares. Be sure to also check for baggage allowance before you finalise on an airline. Looking for housing options in advance will give you an early start, and will save you the trouble of finding a place to live in at the last minute. Give yourself plenty of time to find an accommodation that best suits your needs. It is recommended that you pack suitable clothing for the country you will be living and studying in. If you choose to study in a country that experiences extreme winters, be sure to pack layers. Avoid over packing, you can always shop for what you need once you get there. When planning your overseas education, make sure your passport and visa are both valid for the entire duration of your study program. Creating a folder of all your documents will ensure that you have all the necessary paper for your study abroad program. It is essential that you have sufficient funds before you begin your study abroad program. Estimate how much money you will need and set aside a budget, this will help you curb any excessive spending during your time abroad. Be sure to check the exchange rate of your host country, and purchase any local currency that you may need prior to your departure. It is also important that you notify your bank of your travel plans, so that you are not charged any additional fee. Investing in medical insurance is worthwhile for if you ever get sick, that way you won't be spending on medical bills. You can always check to see if the current plan you are under covers you during your time abroad. "Edwise has provided me with detailed information concerning my decision to study abroad. I am genuinely grateful for all the assistance." "Edwise played a very vital role in my journey of applying to study abroad. Being a very formal and professional process guidance of experience like Edwise is much needed." ""Edwise has been really helpful right from helping me selecting the college to getting through the university of my best interest and guiding me for my pre-departure preparations. I recommend it to all students planning to study abroad." "Extremely helpful. I was provided with all the necessary information. The application process was taken care of by Edwise which was a huge help. Will always be indebted to Edwise for their excellent guidance and assistance." "It was really a good experience with Edwise. I got some really great advices regarding Universities, pre-departure, visa application etc. Thank you Edwise." "My experience with Edwise has been very good. The counselor was very helpful with every detail or clearing all doubts which came across. I am highly satisfied with the service provided by Edwise as well as the corporation by the counselors.""